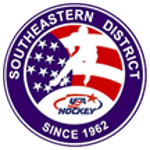 Beginning December 18, 2017, all 8U teams traveling to play games outside of the CAHA Affiliate (North Carolina or South Carolina) must obtain a CAHA Travel Permit in order for games to be sanctioned. Travel permits should be requested no later than 14 days prior to departure and must be approved by the CAHA Secretary. Approval will be given as long as the permit form is fully completed and the approved Official Team Roster (1-T) is included. Failure to obtain a CAHA travel permit will result in the designated Association and Head Coach's referral to the CAHA Disciplinary Committee for appropriate action. All travel permits should be sent to Brian Mehm, CAHA Secretary, bmehm@cisco.com for approval.